Organically grown seeds. Market garden selection. A very early and quick growing summer and early autumn leek. 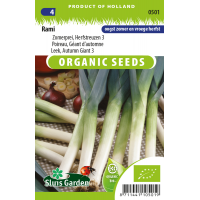 Produces a medium green leek approx. 25 cm long which has good resistance. After harvesting can be stored for a fairly long time. 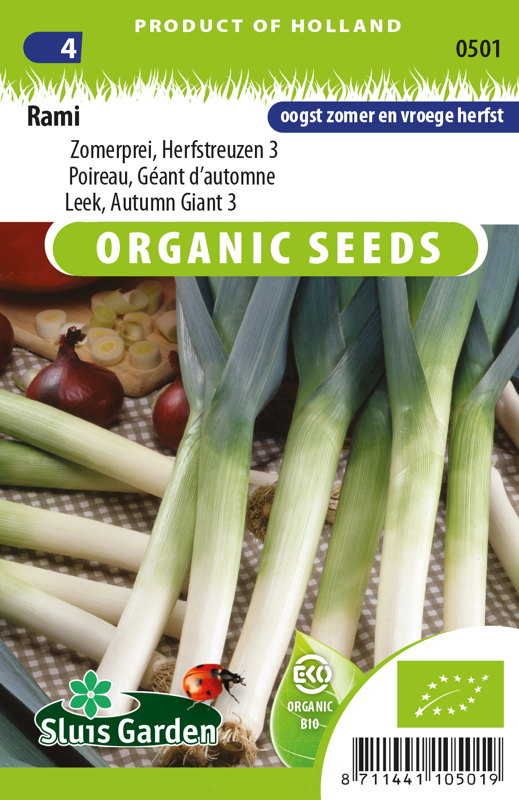 Best sown in a greenhouse or in the garden in seedbeds up to mid May. Sow thinly. When the plants are a pencil’s thickness, transplant to a plant hole 18 cm deep. Allow the plant and roots to reach the bottom, and water a little. The plant hole fills up as the plant grows.